Albania’s history has been harsh and brutal. Previously in a constant state of war with a fragile geopolitical situation, today Albania seems to have certain stability. This stability has most certainly helped to bring about an improvement in the respect for children’s well-being and rights in Albania. Recently, poverty in Albania has decreased noticeably. Motivated by its willingness to integrate into the European Union, Albania has, in fact, put much emphasis on its economic development. However, poverty continues to exist throughout the country, where unemployment remains a major problem. Many households are forced to severely limit their expenses, often without regard for their well-being. The living conditions of some children are also largely affected and some of their guaranteed rights are restricted. In Albania, the right to education is slowly evolving and becoming more commonplace. However, this was not always the case. Not long ago, the opportunity to become educated was rare and expensive. In fact, during the transition towards democracy, the education budget was significantly reduced and educational materials were very expensive. As a result, few children had the opportunity to read or access the proper materials needed for school. Recently, schooling has again moved to the top of the country’s priorities, but it is still not easy for everyone to access it. 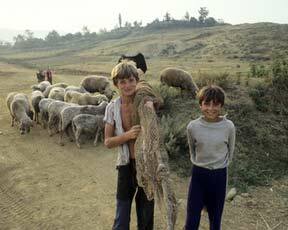 In Albania, around 12% of children are forced to work in order to help their families. 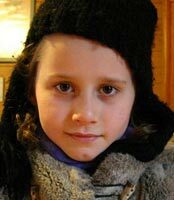 According to reports from NGOs in Albania, it seems that there are around 50,000 Albanian children who work. The majority of these young people take part in various street activities in order to earn some money: begging, itinerant trade; most of the other children work in the agricultural sector. In Albania, the right to freedom of speech can still be an issue. As a result, certain views are not always heard, and sometimes it is even risky to share those views too openly. In general, demonstrations are violently suppressed; the use of force is very common. Consequently, the security of individuals is considerably limited and often, citizens who are in no way involved find themselves in the wrong place at the wrong time and pay the price. 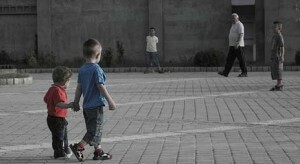 The problem of child trafficking, an appalling crime, is major worry in Albania. Children who are exploited by traffickers are subjected to horrendous living conditions. Many of them have no option but to take part in forced labor or prostitution networks. Albania is slowly coming to terms with the fact that the country is faced with problems regarding the treatment of children and women. However, prosecution and conviction of traffickers is often rare due to fear of retaliation and threats, which are targeted at the victims. Violence in the family home is on the rise in Albania. Complaints by women indicate that there are a growing number of incidents of family violence, even though most women do not press charges out of fear of retaliation. Legislation is very weak in this area and in order to press charges and eventually arrive at a conviction, the acts of aggression must involve death threats or serious injuries. As a result, many incidents of family violence and violence against children do not constitute an offense and consequently, remain unpunished. Albania has recently made considerable progress to improve the detention conditions of minors. However, the prison environment is overcrowded and the situation of the prisoners is extremely difficult. With unhygienic conditions, a lack of maintenance, inadequate buildings and obsolete medical services, the prisons as well as police stations sometimes do not have enough cells to separate the juveniles and adults. They must, without fail, consider making adjustments in order to conform with the principles guaranteed in the International Convention on the Rights of the Child.